Assassin-for-hire Vyder Ironstone is on a mission for the King of Wendurlund. While the payâ€™s good, the odds are not, since the task requires him to travel deep into enemy territory. But first, thereâ€™s the little problem of his death to overcome, not to mention a malcontent travelling companion with no love for humanity and a deadly purpose of his own. Vyder had better find a way to deal with both, and quickly, because, controlled by an unseen power, hordes of giant spiders have attacked the capital. Facing vast numbers, Commander Tork of the Kingâ€™s Own and his small troop of elite soldiers wonâ€™t be able to hold the walls for long. 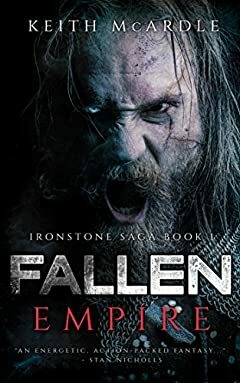 Vyderâ€™s quest is vital: he must not fail, or the empire will fall.